How Do Animals Feel About Being Killed for Meat? 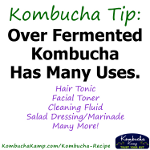 Kombucha is an artisan product, and like all hand-crafted foods, the best results require patience and time. A good hand-brewed kombucha is like a fine champagne, fizzy with tiny bubbles, a delightful combination of sweet and sour, and even slightly viscous on the tongue. Chinese medicine considers virility as closely aligned with overall vitality, specifically associated with life or “fire” in the kidney area. The kidney area of course includes the adrenal glands, which produce a variety of hormones that help us deal with stress; the adrenals also provide a backup to the testicles by producing small amounts of testosterone.